Antimicrobials have for decades been used in food animal production with the intention of not only treating disease but also been used for prophylaxis and growth promotion. This has created high levels of antimicrobial resistance that is threatening the efficacy of these drugs to treat serious disease in animals and humans. The times of prophylactically medicating our animal production systems to reduce disease and improve growth are gone, and we now need to focus on creating healthy production systems where animals remain healthy and are productive without these valuable drugs that should be saved for treating serious disease. Nearly all production diseases can be prevented by using good environment, husbandry and nutrition. 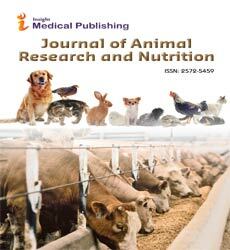 The focus of this special issue is to describe potential production methods, feed solutions or alternative health and immune promoting solutions that can optimize animal health and productivity without the use of any prophylactic antibiotics. Measures that can reduce disease and improve productivity in food-producing animals include: •	Appropriate nutrition for all stages of life of the animals •	Optimized immunity through nutritional management •	Gut Health •	Vaccination strategies •	Housing systems •	Management systems •	Genetic and breeding systems that favour disease resistance •	Other solutions This special issue also encourages combinations of interventions to optimize health and performance, as a holistic approach need to be taken to transform our current antibiotic treated systems to future sustainable systems where antibiotics are only used to treat clinical disease in individual animals, or group of animals on occasional basis. Financial analysis and field trials of various solutions are welcome.